Many users are hoping for better business apps from external iPhone developers such as better security safeguards for lost or stolen phones and an email client with “push” mail functionality (similar to BlackBerry). We also want to know if the apps will work with the iPod touch. However, there are concerns over the level of ‘approval’ that Apple will want over these externally developed applications. We will report back on that shortly after the announcement at 6pm GMT today. “As an iPhone owner I'm excited. 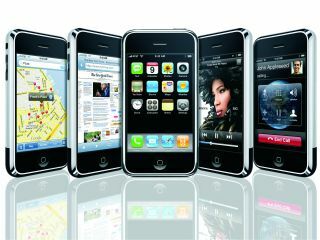 The iPhone SDK will open up the iPhone and iPod touch platform to 3rd party developers for the first time. It's going to mean more apps for your iPhone, and that can't be a bad thing. In effect Apple is creating a whole new market, virtually overnight. “There's also huge potential to turn the iPod and iPhone into the new 'must have' gaming platform. There are some unique feature to the iPhone, such as the accelerometer, that could be incorporated into games in a unique way. Just imaging shaking the iPhone to rotate a piece in a Tetris game, for example, or angling the iPhone to take a shot in Pool. “With its large screen the iPhone will make a great gaming platform, increasing demand amongst customers for one of these devices. “I'd expect Apple to simultaneously release some new iPhone / iPod touch applications along with the SDK - iChat would be my best guess there,” Barlow added.